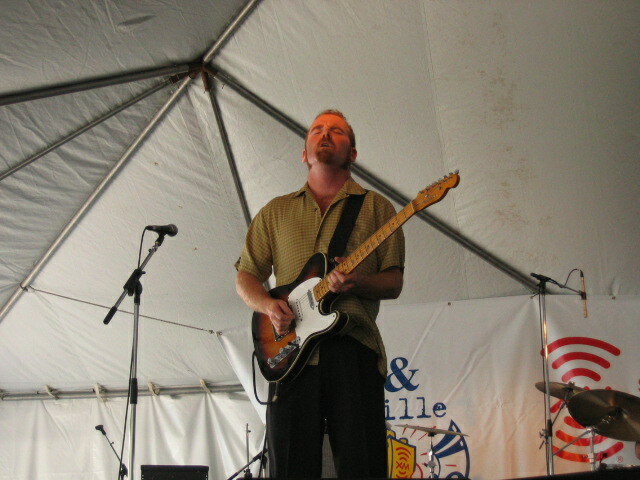 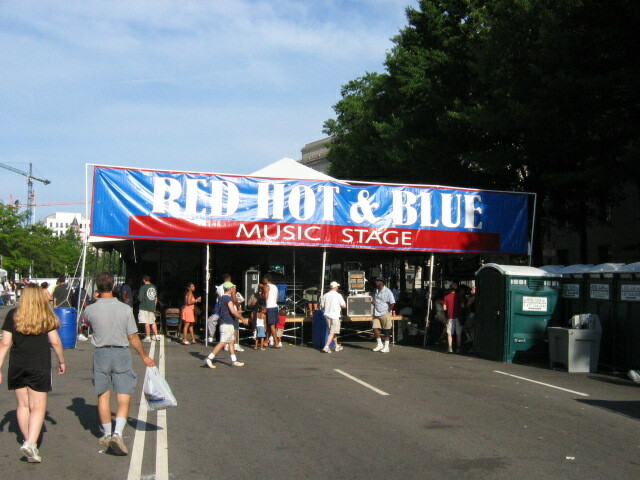 I saw Maria at the Twist & Shout, Bethesda, Maryland in 1998, in 2000 at the Avalon Theater, Easton, Maryland, and at the 2005 National Capital Barbecue Battle, Washington, D.C. 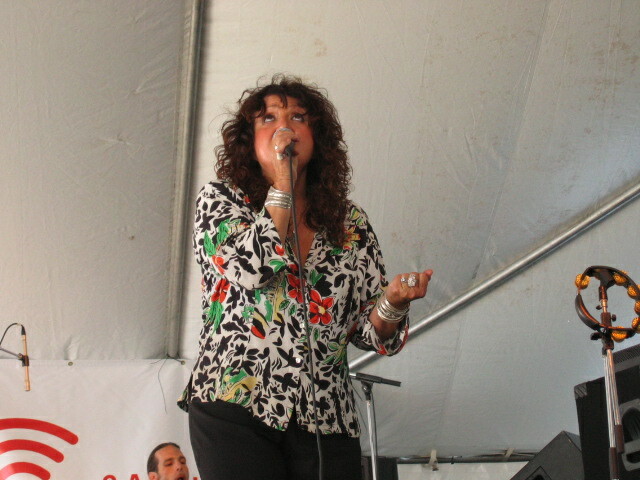 Besides having a voice with great range, Maria has a unique personality, and is definitely in her own space. 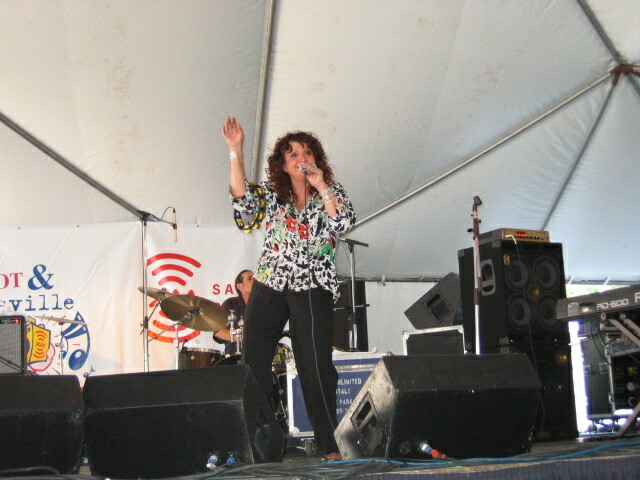 Be sure and see her if she comes to your town (click here for tour schedule). 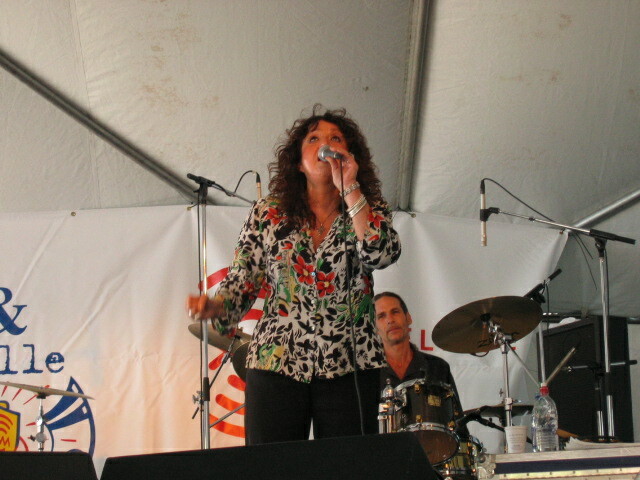 Don't miss Maria's website for tour news, discograpy, and new releases! 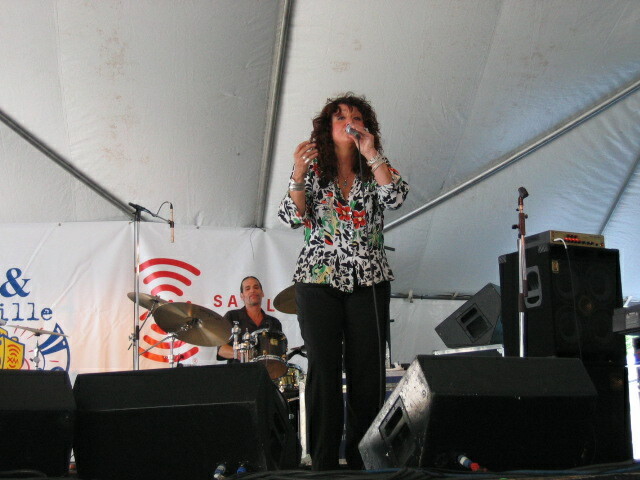 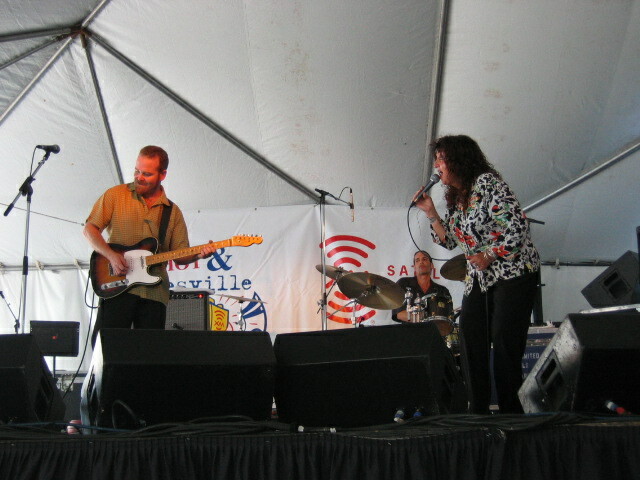 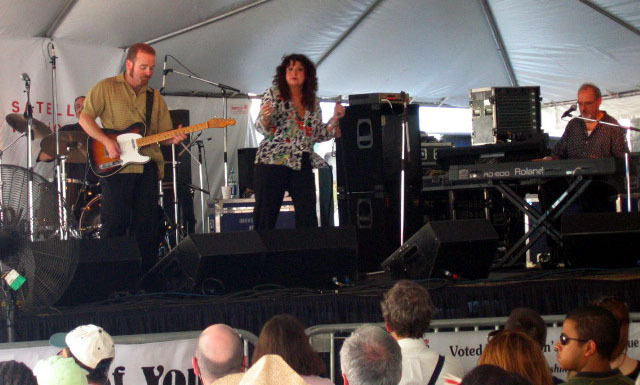 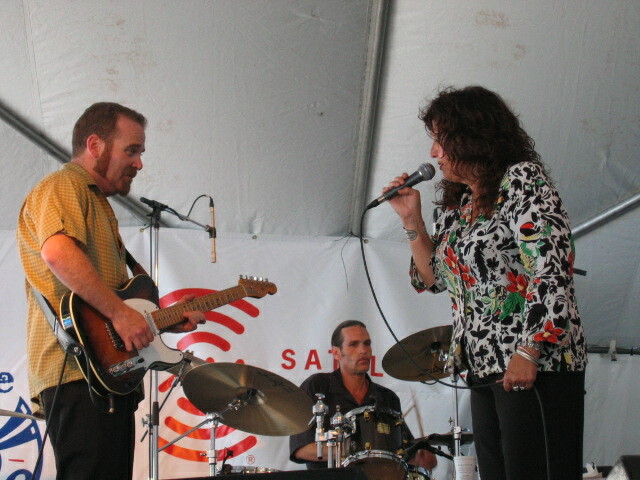 Maria Muldaur burned up the Red, Hot, and Blue stage at the National Capital Barbecue Battle, Washington, D.C. June 26, 2005. 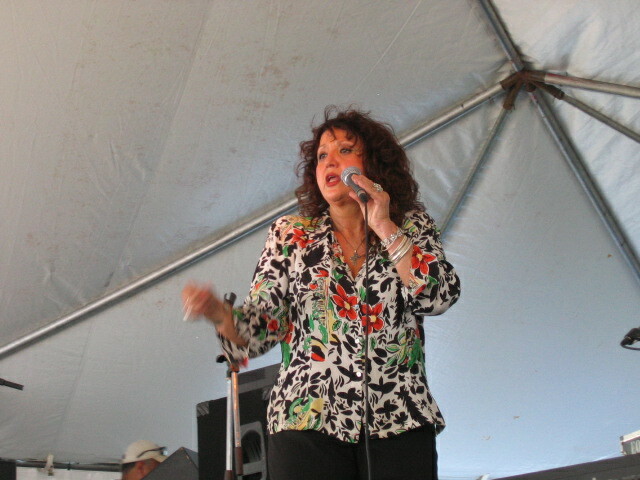 Maria performed Louisiana songs, traditional blues, and hits like Midnight At The Oasis. 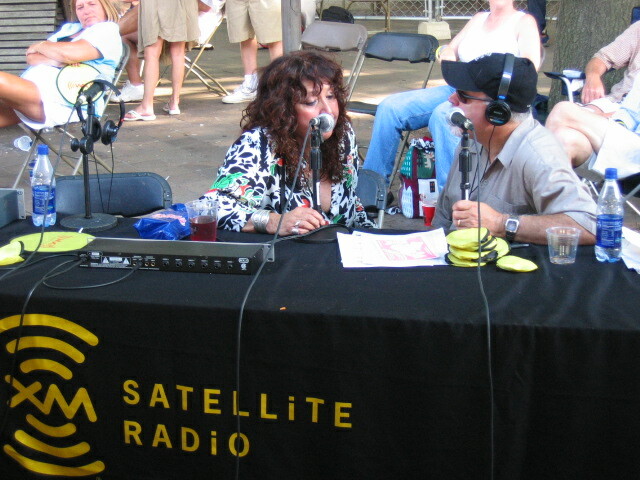 The performance was simulcast by XM Satellite Radio, whereupon Maria was interviewed after her show. 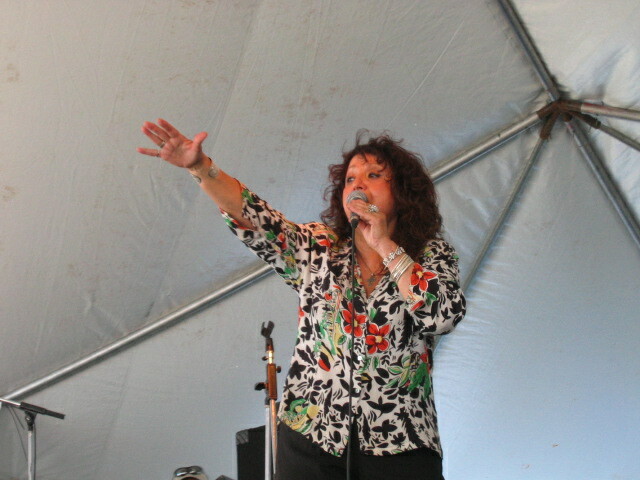 She also said hello to her many fans and signed CD's. 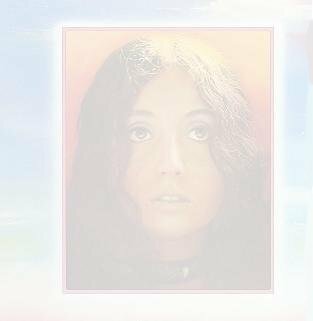 I picked up her 2004 release, "30 Years of Maria Muldaur: I'm A Woman," and highly recommend this compilation. 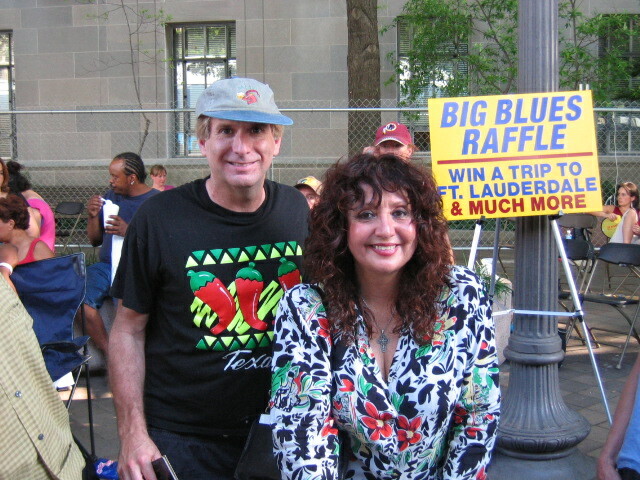 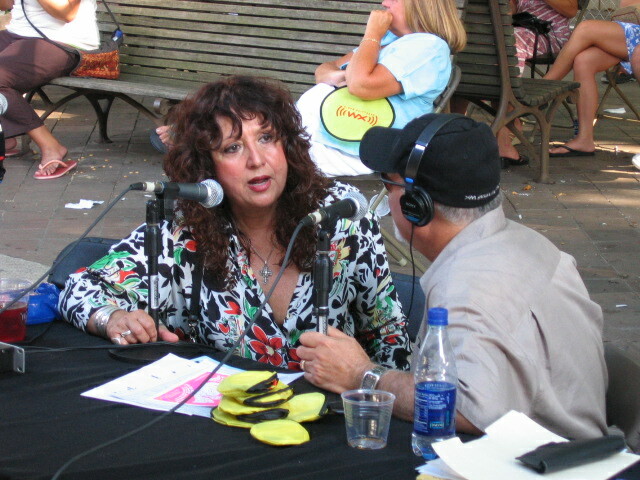 Maria has a new release coming out in August 2005, "Maria Muldaur Returns With Sweet Lovin' Ol' Soul." 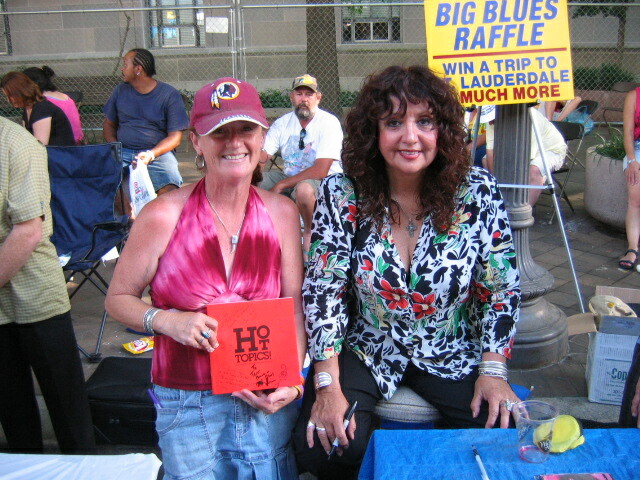 Autograph from Maria's Avalon Theater gig. 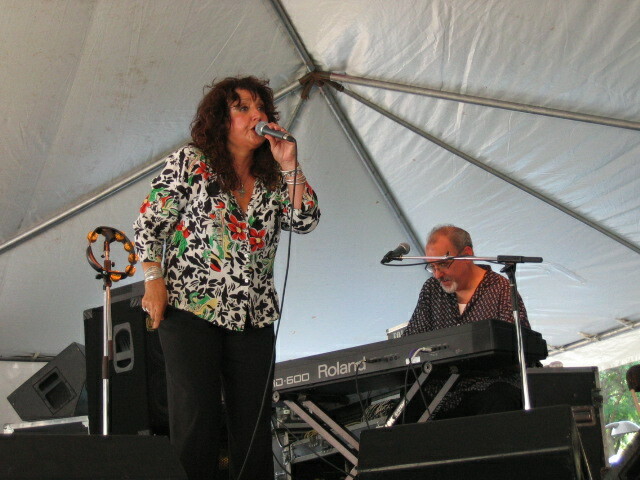 Click the ticket to see Maria's Avalon Theater, Easton, Maryland performance. 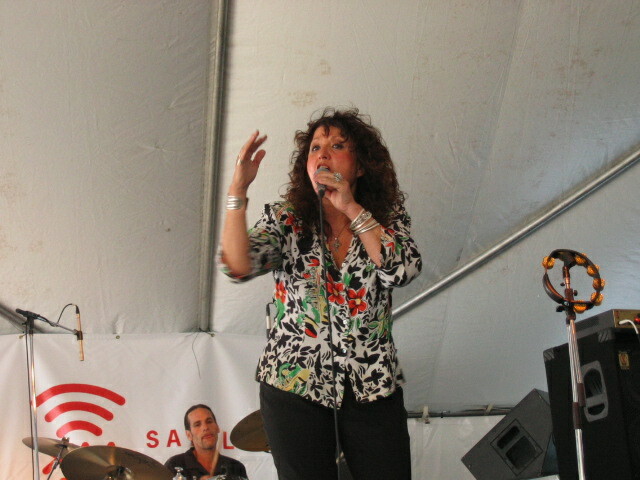 Maria looking and singing great in 2000! 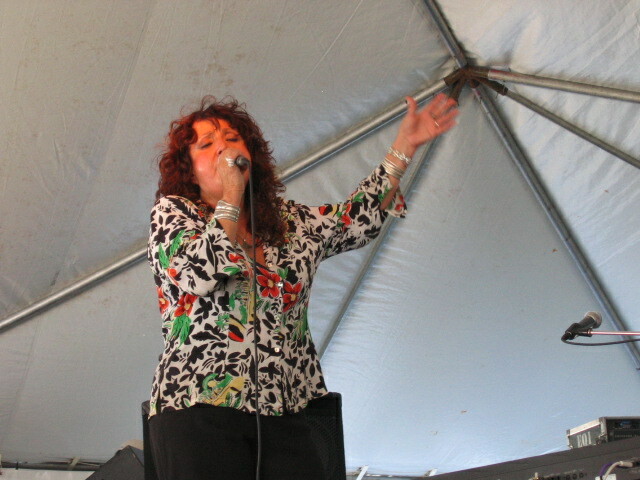 Maria goes back a long way with acclaimed singer Bonnie Rait.